An alumnus is another word for graduate; alumni is the plural: one alumnus, two alumni. When you complete a CQUniversity qualification - from a Certificate 1 to a Doctorate - you automatically become a CQUniversity alumnus. Both vocational education and training and higher education graduates are members of our alumni community. 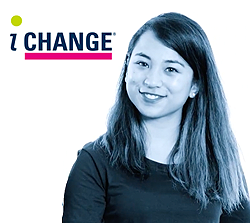 What are the benefits of connecting with CQUniversity Australia after graduation? 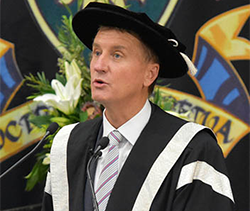 A range of benefits and initiatives are available to vocational training and degree program graduates of CQUniversity. These include free library access, career development services, alumni professional development grants, and regular opportunities to get involved through 'Be' magazine and the alumni e-newsletter. View the benefits available and keep your details updated to hear about opportunities available to you. Is there a fee to be a CQuniversity alumnus? No! Students automatically achieve alumnus status upon completion of their qualification (Certificate 1 to Doctorate included). There are no costs associated with this life-long relationship with your university. Can I use the library resources? Yes. 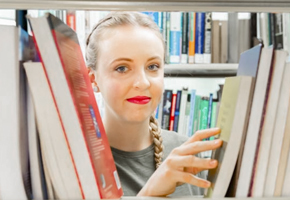 As a graduate, you are able to access both catalogue and electronic databases. Visit Benefits for more information. How do I register for graduation? Visit the Graduation Ceremonies page or contact the Alumni Relations Team. I would like assistance with finding employment, can you help? Yes. Graduates have access to a range of assistance including career counselling services, career mentoring, resume and job application reviews and a jobs board. Visit Benefits for more information. How do I contact friends from my course? Contact the Alumni Relations Team. How do I find about alumni events and opportunities? Update your contact details to ensure you hear about alumni events and opportunities. Information is also shared through the official CQUniversity alumni social media pages on Facebook, LinkedIn and Twitter. Official academic transcripts can be ordered by completing the online 'Request for Academic Transcript' form. I would like to organise a reunion. Can I do this? We love to help graduates to organise reunions or activities. Contact the Alumni Relations Team to find out how we can assist you. I'd like to advertise employment opportunities to graduates. How can I do this? You are able to advertise job vacancies for free through the University CareerHub. First-time users need to register an account. How can I have my qualification or my employee's qualification verified? What about academic verification for immigration purposes? 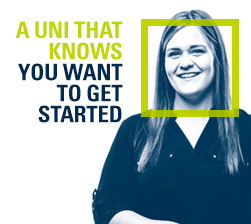 CQUniversity can verify an academic record if we have permission from the individual to do so. We require signed consent from the individual before this private information can be released. The consent document should include the student’s full name, date of birth and student ID number as well as their signature. Many employers and immigration agents have a standard form for this. Please email the consent form to our Student Governance Centre at sgc@cqu.edu.au or contact us on 13 2786. Academic Verification usually takes 2-3 working days to process. This is a free service. Please Update your contact details so CQUniversity can contact you to confirm your consent if needed. I'm immigrating and the agent needs my testamur and transcript sent direct. Can you do this? Yes, we can help you with this. Please complete BOTH these forms to order your documents (fees apply). Request for Academic Transcript and replacement Testamur. Once you have completed the forms and paid the required fees, please send an email to the Awards and Results team via aar@cqu.edu.au requesting the documents be mailed together in a single envelope. For any enquiries relating to replacement testamurs please contact the Awards and Results team on +61 7 4923 2357.